Modern society often seeks solutions, but in many times it has stopped seeking wisdom. Today’s readings remind us that the just and wise society we seek will take shape to the degree in which we strive for and seek the Kingdom of heaven. Today’s First Reading recalls why King Solomon was considered one of the wisest kings of Israel, so much so that almost all the wisdom literature in the Old Testament was believed to have been written by him. His father David had established a united and prosperous kingdom. It was a tough act to follow. When the Lord offered Solomon help as he began to reign, he didn’t jump straight to specific needs for addressing specific problems: wealth, power, military strength. He knew something would help him address them all: an understanding heart that could distinguish right from wrong. Moral wisdom would not only ensure that he was a good king, but that the good of his subjects under his leadership would endure as well, because the common good is just as important as the good of the individual. In today’s Second Reading Paul reminds us that if we really want things to work out we must love God in all things. Love for God is the wisest course of action. Complex situations, difficulties, and trials all bear the risk of separating us from God, but only if we distance ourselves from him in those moments. Throughout salvation history God has taught us how to face all these things, until finally the Son came and showed us how to face them, all the way to Calvary. In Our Lord we find embodied all the moral wisdom for which Solomon could have hoped, but something even more: the spiritual wisdom and power to be holy. The Lord calls everyone to holiness, and those who respond to the call are put back on track through the grace of justification and, if they persevere in holiness, aided by grace, they will one day be glorified. The three parables in today’s Gospel teach us about what summarizes, epitomizes, and reflects the moral and spiritual wisdom that the Lord has not only woven into creation, but revealed and announced: the Kingdom of heaven. First, like a hidden treasure its worth is something that takes us by surprise and is found in the most unexpected of places. In finding it you don’t just feel smart; you feel fortunate. It doesn’t come free, and it doesn’t come cheap: if you’re willing to spend everything on obtaining it, it must be of more value that what you already have. The Kingdom of heaven should put everything we have, everything we are, into perspective. When we invest ourselves completely the returns will be unimaginable. Second, the Kingdom of heaven, like finding a great pearl after a lifetime of smaller ones, is something comparable to all the things we value in this world, but much greater in comparison. The Kingdom of heaven is not going to be something totally different from the “treasures” we hold and experience in this life. When we seek the true, the good, and the beautiful in this life, we are paving the way for the Kingdom, already present in those things, to come to full fruition. The final parable reminds us that the Kingdom of heaven will come one day fully for everyone. If we understand the Kingdom as not only the work of salvation, but all the other natural goods that in some way result from that work–a healthy society, solid families, true concern for the spiritual and material needs of others, etc.–we can understand how it is not just identified with the people who are actively working to be a part of it and to extend it. All kinds of “fish” end up in the “net.” Like any society there are good members and bad members, and part of society’s duty is to help all its members be good members of society, even, when necessary, through penal measures applied to those who are bad with the hope of helping them to reform themselves and to not present a danger to themselves or to society. At the end of history, when the work of the Kingdom has definitively run its course and reached everywhere Our Lord wants it to be (and that, in the end, is everywhere and everyone), no one will remain unaffected or beyond its reach. That could be a chilling thought if we didn’t remember that the Kingdom equates to salvation and a good and just order of things that spreads and takes hold forever. Each person in the end chooses how they’ll end up in the Kingdom, in that “net”: the bad will have squandered all their opportunities to be good and will be cut off from the goods of the Kingdom forever. The good, through their efforts and God’s aid and mercy, will enjoy a beatific life: they will possess God and receive all the promises Our Lord made on the Sermon on the Mount (cf. Matthew 5:1–12) in full. We must work for the good of others, not just our own good, but in the end each person will stand or fall on his or her own merits and no one will be able to ride on another’s coat tails on Judgement Day. A rule of life summarizes the rules and principles that you consider important for a happy and successful life. Some are published for the benefit of others, while others are very personal.For some that can simply be a philosophy of life. For others, a specific career goal or achievement that requires preparation and perspiration. For believers, the monastic rules of life, such as the Rule of St. Benedict, can be adapted for living your life more in accord with basic Gospel values. Spend some time this week in prayer to take stock of your life and the rules and principles with which you live it. If you have difficulty sorting things out, consider seeking out a spiritual director. Readings: 1 Kings 3:5, 7–12; Psalm 119:57, 72, 76–77, 127–130; Romans 8:28–30; Matthew 13:44–52. In today’s First Reading it doesn’t take long for the Israelites to prefer the thought of full stomachs and slavery to hunger pangs and freedom. The Exodus is not just a historical event; it is also the drama of man turning away from sin physically while still feeling its attraction spiritually and psychologically. Egypt in this story represents sin, which is spiritual slavery, no matter how much it seems to satisfy us. The satisfaction of sin is a hollow one. It promises contentment, but only delivers misery. The Lord has led the Israelites out of the slavery of Egypt (sin) to form them as his people in the desert (conversion and purification). Conversion and purification can be as dry and unsatisfying, humanly speaking, as wandering the desert on an empty stomach, but it reminds us that true spiritual freedom is worth any price, any suffering. Don’t become discouraged when your thoughts drift back to whatever slavery you’ve left behind. Savor the freedom instead. It’s an acquired taste, but a much more satisfying one. Readings: Exodus 16:1–5, 9–15; Psalm 78:18–19, 23–28; Matthew 13:1–9. See also 15th Sunday in Ordinary Time, Cycle A and 16th Week in Ordinary Time, Wednesday, Year II. In today’s Gospel Our Lord teaches us that evil will be present in the world until the last days of Judgement, when the fruits of all are measured. Evil festers in hearts; it is not always seen on the surface. Holiness is characterized by meekness and humility, so it is not always seen on the surface either. Like wheat, holiness is in the world trying to grow into something good. Like weeds, evil is at work doing the opposite, preying on the good in parasitic way to serve nothing other than itself. It can be hard to tell the difference and, therefore, we need to be on guard against a holiness that is only skin deep. Today’s First Reading reminds us that we can try to be masters of moral disguise, but the Lord sees beyond the surface and measures us by our deeds, not just appearances. The Lord never misjudges anyone, yet people still try to deceive him, if they believe in him at all. The Lord gives the unjust time to change their ways, to seek his forgiveness, usually for far longer than we would, because he truly cares about them. The Lord is willing to put up with a lot of things, but in justice he cannot ignore insincerity. When we sincerely try to do good and to be good, even with moments of weakness, he forgives and helps us, and that gives us cause for hope. If we’re insincere we don’t trust him, and all that’s left is justice. The Lord shows us justice is necessary, but that doesn’t put kindness on hold. The three parables in today’s Gospel teach us that holiness is often hidden, even small in the eyes of the world, but makes good things spread and grow, unlike parasitical weeds. The moment of harvest is a moment of reaping fruits. Our Lord’s listeners in Matthew’s Gospel have just heard the parable of the sower (see the 15th Sunday in Ordinary Time, Cycle, A), and now they hear their lives compared to wheat, leaven, and a tiny mustard seed. Wheat is not very glamourous, but if we want bread, a symbol of life, it is essential. When we eat a sandwich we don’t think much of the wheat that went into it, but we certainly enjoy the sandwich. Leaven is useful not only for baking bread, but for baking delicious bread. When we receive the Eucharist, made from unleavened bread due to Passover traditions, we note the difference from the bread we eat every day. Leaven does its job by quietly being sifted throughout the flour used to make the bread, but it makes a big impact on the recipe. Mustard seeds average between 1-2 millimeters in size and may seem small and inconsequential, but on a hot day the shade and shelter of a tree that grows up to twenty feet tall and wide is not to be ignored. The mustard seed in today’s parable also shows that the Church may start small and seemingly insignificant, but is meant to spread far and wide. Today’s parables present us with two things representing two opposed lifestyles: yeast that leavens and weeds that feed. Which one am I? Leaven is often hidden and unappreciated, but as an ingredient it makes recipes go from good to great. Weeds sprout where they don’t belong and engender other weeds, choking out the lives of the plants around them. The parable of the weeds and the wheat doesn’t leave room for weeds becoming wheat, but the Lord does, as the First Reading reminds us. It’s never too late to be a leaven for good in the Church and the world. Readings: Wisdom 12:13, 16–19; Psalm 86:5–6, 9–10, 15–16; Romans 8:26–27; Matthew 13:24–43. Today’s readings remind us that the soul, like soil, must be good if we expect good things to grow from it. In today’s First Reading we’re taught that God’s word comes down like the rain to nourish the earth and help good things grow. Throughout salvation history the Lord has rained down many words (the Old Testament, for example) to help his creation thrive and grow, but with mixed results. Isaiah reminds us today that those mixed results are not the Lord’s fault; they’re ours. The rain produces fields ripe for cultivation, but it takes work to reap the seeds that will keep the crops going, and keep bread on tables. In today’s Second Reading Paul reminds us that sin did not just mess up agriculture; it messed up the designs of creation itself by diverting it from its purpose. The Lord created many things for us to love and serve him as well for loving and serving others. Yet, as we saw in the First Reading, the results were mixed due to an inadequate response on our part to his designs. Paul goes beyond the fertile fields described by Isaiah: all of creation is a fertile field that will reap a glorious harvest: eternal life. Sin tried to frustrate that glorious harvest, but the Word came to show us how to follow God’s plan for a glorious harvest once again and help creation achieve its purpose again. Today’s Gospel is the Parable of the Sower, and the seed being sown is the Word of God trying to make its way into a soul. Through the parable Our Lord explains the obstacles to the Word of God bearing good fruit. Our Lord invites us to see the difference between hearing something and listening, between looking at something and seeing it. Just as farmers till the soil we have to be active in letting the Word of God bear fruit in our life by cultivating the soil of our soul. 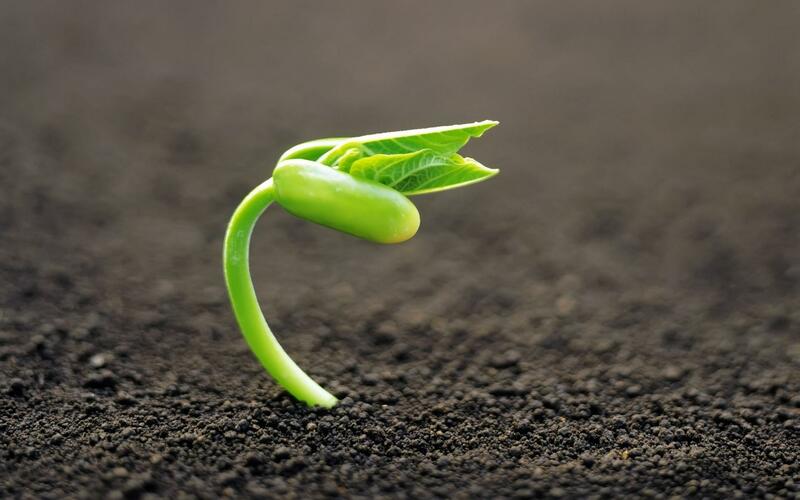 We shouldn’t be afraid of welcoming and nourishing the seed of God’s Word, because God has sown it for a good purpose and he will continue to watch over the soil and cultivate it. He may ask for something demanding, but he’ll be with you every step of the way and he has plans for something good to grow out of your generosity and sacrifice. Parables present something from daily life, but are also doorways to other spiritual and divine insights about God, the “knowledge of the mysteries of the Kingdom of heaven.” It’s not enough to look at the door: it must be opened to discover what lies beyond. When we see parables in this way, when we see the Word of God in this way, we see something from which we can draw profound truths regarding ourselves, our world, and Our Lord, not just once, but constantly. That requires an effort in faith to listen and to see, an effort to open our hearts and open that door into the greater world Our Lord wants to reveal to us. If we don’t understand what he is telling us, his Word stays on the surface and doesn’t penetrate our hearts, and the Evil One can easily sweep it away before it has any effect. There is an active Evil presence out there that would like us to remain shallow and superficial and someday lose eternity with God, which is why we always need to watch and pray in moments of temptation and seek to understand God’s Word with profundity. There’s a moment where an insight into his Word causes sensible consolations and warm feelings, but sentiments are often skin deep and change direction like the wind. If we only listen to feel good, when we start feeling bad we’ll stop listening–enthusiasm only lasts so long. God’s Word wants to be with us and help us in our ups and downs; he always has something to say, so whether we’re exultant about something or despondent, we need to keep listening, harder if needed. We must till our soil so that God’s word can produce a good harvest in our lives, but environmental factors can impact the quality of our soil too. There is a lot of “noise” that can try to drown out his Word, and not all of it is self-generated. We live in a culture today that can be shallow, superficial, and base: all those things can form a sort of screen on our hearts that prevents God’s word from getting in. There can also be a moment where we let our anxiety about something separate us from his Word: we become more concerning with the passing things of this world and not about the Kingdom: we worry about money, power, or pleasure. If we become attached to those things they won’t just drown out God’s Word, but they’ll make us deaf to many other things as well. What comes to mind in moments of silence? Concerns that come to mind in a quiet and peaceful moment often help us analyze and address our attachments. A bad environment can choke out the Word in our lives, so we need to always consider whether there are certain places we should no longer go, certain people we should no longer see (if we’re too weak to change and to help them), certain things we should no longer do. Readings: Isaiah 55:10–11; Psalm 65:10–14; Romans 8:18–23; Matthew 13:1–23. Today’s readings remind us that while many things in a believer’s life remain the same whether they’re believers or not, the believer also lives those things differently: in meekness and humility of heart. In today’s First Reading, a prophecy of the Messiah, the Messiah does not come charging in on a huge warhorse; he comes on a lowly beast of burden not “built for speed.” The king is just, but meek. That doesn’t seem enough to do the job. How is he going to banish chariots and archers and establish peace among the nations with so little? The Lord promises this king will not just serve national interests: he will proclaim peace to the nations and reign over them all. He is not ambitious, but selfless and simple. He has a big job to do and he doesn’t tackle it making a lot of noise or mustering a huge army. We know who this Messiah, is and how he brought peace: his meekness, justice, and desire for peace disarmed the world of his time and took it by storm. In today’s Second Reading Paul gives us an insight into how the Messiah, and his disciples, conquered the world: by turning from the flesh and living the life of the Spirit. The Spirit of the Lord spread and conquered hearts, just as it does today. However, we always face the danger of backsliding, and some don’t live according to the Spirit of God at all, despite the fact that they’ve received the Spirit through faith in Christ and Baptism. It’s the Spirit that teaches us the true cause of woe and war and provides the solution: the desires of the flesh must be conquered. Wars and discord in our world stem from those who strive after the things of the flesh, desires that make them greedy, selfish, and cruel. The true war, at times unseen, is between the flesh and the Spirit. It is still waged by Christians, with victories and defeats, but always with their hope firmly placed in the Lord, who definitively overthrew the things of the flesh. In today’s Gospel the Lord teaches us that there are things in life to which we’ll be blind if we are not “little” in our aspirations and taught by him how to be meek and humble of heart. Creation was made with the Son in mind, so it is no wonder that the Father would make his Son the key to understanding life’s meaning and purpose. The Son encourages us to learn from him, meek and humble of heart. Without this knowledge, life is much more burdensome than it was meant to be. That’s why in today’s Gospel he assures us that it is not as tough as it seems, and will give us rest from our struggles. If the Spirit of Christ is woven into the fabric of creation, the more we imitate him and try to make his Spirit guide our lives, the easier everything will be, because through peace with Our Lord we’ll also achieve peace with ourselves and with his creation. The most common misconception about meekness is that it is synonymous with weakness. Did Our Lord seem weak to you? Meekness requires a concerted effort of various virtues. It requires self-mastery which forestalls and checks impulses of anger, so it is related to temperance. It requires tolerance of the failings of others, so it requires patience and fortitude. It calls for forgiveness of injuries and benevolence towards all, so it comes from charity. If you’re still not convinced, try being a little meeker this week and see how much effort it requires. Readings: Zechariah 9:9–10; Psalm 145:1–2, 8–11, 13–14; Romans 8:9, 11–13; Matthew 11:25–30.